On the evening of 24 January the streets of Lusaka erupted with celebrations as Zambia’s 6th president was announced following a heated race between two front runners. Precipitated by the death of President Michel Sata in London on 28 October 2014 after a mere three years at the helm of the small Southern African nation, the election would be the closest in Zambia’s 25 years of multi-party democracy with President Edgar Lungu beating opposition leader Hakainde Hichilema by just 1.66%. The new president was a relatively unknown entity within the ruling Patriotic Front (PF) until his appointment as Minister of Defence in late 2013. He had been Michael Sata’s lawyer while in opposition and was appointed as Junior Minister in the Office of the Vice-President when the PF came to power in 2011. In 2012 he was made Minister of Home Affairs, but wrangles within the PF pushed this unlikely successor to the top seat of the party. The resignation of Geoffrey Bwalya Mwamba (Defence Minister) and firing of Sata’s heir apparent – PF Secretary General and Minister of Justice, Wynter Kabimba – in August 2014 led to Edgar Lungu holding a second powerful portfolio. He was allegedly appointed by Sata as a nod to ethnic-balancing and appeared to have the backing of the PF’s Bemba faction spear-headed by powerful finance minister and Sata’s uncle, Alexander Chikwanda. President Lungu’s campaign began with a shaky start, marred by infighting, intimidation and intra-party violence within the PF. The party was divided over his candidacy, particularly as Acting President Guy Scott attempted to block Lungu’s rise at every turn while trying to position his preferred candidate for the party’s top job. Following a long string of accusations, suspensions, court injunctions and public spats that played out in the media, the party only united behind Lungu just before the nomination of presidential candidates on 20 December 2014. With only a month to campaign and a relatively unknown candidate for the presidency, Lungu played on President Sata’s popularity and charisma, standing on a platform of “˜continuity’ and positioning himself as the guardian of the late president’s legacy. When asked about his policies and platform during a radio interview in December, Lungu stated “I have no vision,” clarifying that he would merely implement Michael Sata’s policies, acting as caretaker of the former president’s projects. The PF’s campaign materials reflected this, giving Sata’s face prominence and placing Lungu’s smaller image below it in a symbolic sign of deference. During the final weeks before the election, people in Lusaka and across the country frequently referred to Lungu as having been “˜anointed,’ a result of his appointment as PF Secretary General and having been chosen to act as president during Sata’s absences in his final months. The ruling Patriotic Front (PF) party entered government in 2011 on a wave of big promises buoyed by widespread public disillusionment with the ruling Movement for Multi-Party Democracy (MMD). During their three years in government under President Sata, the PF undertook substantial infrastructure development projects, most notably the Link Zambia 8000 Project which was to oversee the construction of 2300 km of roads in its first phase alone – representing an increase of nearly a quarter of the existing paved road network. As a result, Zambia’s external debt has increased markedly to USD$4.6 billion or 17% of GDP by the end of 2014, from less than USD$1.8 billion in 2010 (11% of GDP). In spite of this, infrastructure development has boosted the PF’s popularity in rural areas, making government visible to citizens who had previously had little interaction with the state and facilitating the movement of goods and people between villages and markets. In urban areas, the road development projects – aimed at reducing congestion in cities – have also been extremely popular with people employed in the country’s burgeoning informal sector, notably bus and taxi drivers who form a substantial part of the PF’s vote base. During the final weeks of the campaign, acting President Guy Scott criss-crossed the country, opening and inspecting development projects with a view to consolidating the PF’s popularity and reminding voters that the party was responsible for the popular programmes. With limited time and resources, Lungu was unable to cover the country as extensively as the opposition UPND, allowing them to make inroads in PF strongholds. The 11th hour deal between former President Rupiah Banda of the Movement for Multi-Party Democracy (MMD) and the PF candidate was expected to help Lungu sweep the vote in Eastern Province, the home province of both men. Banda campaigned alongside Lungu, providing substantial resources and putting a small fleet of helicopters at the disposal of the relatively under-resourced campaign. Surprisingly, in spite of Banda’s endorsement, turnout in Eastern Province was the lowest in the country at 22.7% with Lungu garnering only 65% of votes cast. The opposition collected a staggering 25% in Lungu’s province (compared to 3.3% in 2011) and 41% in his home district Chadiza (9.25% in 2011); this stands in stark contrast to the 91 and 95% endorsement of opposition leader Hakainde Hichilema in his home province and district respectively. This election is notable for its low turnout, with only 32% of registered voters making their way to the polls, 13% lower than in the 2008 presidential by-election. This was likely due to a number of factors, including the holding of the election during rainy season, making voting both onerous and costly in rural areas; the disaffection of voters due to increased levels of intimidation and intra- and inter-party skirmishes; and dissatisfaction with certain PF policies and decisions prior to the polls that were just enough to dissuade voters but insufficient to push them en masse into the arms of the opposition. This could almost be seen as an inherited presidency; Lungu benefited from the large store of public goodwill and sympathy towards the PF – and Michael Sata in particular – after 10 years in opposition and only three at the helm. With a margin of a mere 27 000 votes and the next tripartite election only 18 months away, the reconstituted PF government will be under pressure to deliver and ensure their re-election. This may mean the enactment of popular but imprudent policies to buy in support and maintain the party’s base. The party will have to mend its internal fissures and undertake a tricky balancing act to placate different constituencies. The high levels of private funding that flowed to the opposition’s campaign coffers have been attributed in large measure to business’ concerns about the government’s recent introduction of what in their view constitutes a clumsy and hefty new mining tax system – a position from which the PF may have to stand down in order to prevent further private sector defections to the “˜business-friendly’ opposition. The 2015 election marks a surprising shift in Zambian politics; it has seen the demise of the MMD and rapid rise of the UPND but also a change in voting patterns in some areas of the country. What is clear is that the PF will have to work hard in the next 18 months to expand their tiny lead and ensure that they’re able to bring voters to the polls in 2016. 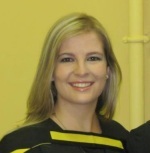 Nicole Beardsworth is a South African political analyst and doctoral candidate at the University of Warwick. A version of this article first appeared on the Presidential Power Blog.